The absence of grandparents is really a serious dilemma for modern parents. 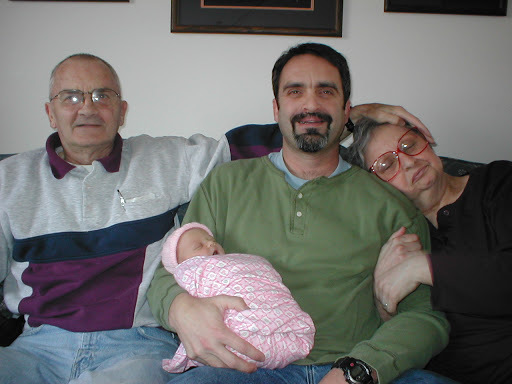 When I was growing up, we had regular and frequent contact with all four of my grandparents. I even remember spending time with my maternal great-grandmother, who died when I was very young. But in today’s mobile society, families often live several states away from their kids’ grandparents and other extended family. I didn’t realize how challenging this could be until the last 19 months since we moved to Oregon. While in Colorado, we had older friends at church who stepped in as surrogate grandparents to my kids. We also had a couple of families who were as close as our own siblings. These are awesome people who spoiled my kids with love and provided a safe embrace for our family. Here, I have some aunts and uncles across the Mighty Columbia River, in the Vancouver area, but even though it’s only an hour away, it isn’t always convenient to visit. My aunts are filled with love and treat my kids as if they were their own grandkids – they’ve also been incredibly loving and supportive to The Wife during some of her health issues over the last year. The best way to love me is to love my family! Yesterday we drove down to Ocean Park, Washington, on the Long Beach Peninsula, to spend some time with aunts, uncles, cousins, and their kids. 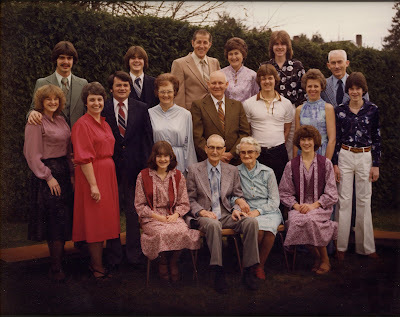 Through the years, my Dad’s siblings and extended family have all been close. Our time with them yesterday just reminded me how important it is to have extended family nearby – and more importantly, people who love us unconditionally. Extended family is important for our kids! Grandparents, aunts, uncles, cousins and surrogates all provide a solid foundation for our kids. They offer the kind of unconditional love that only non-parents, who love our kids as much as we do, can offer. They hold our kids, emotionally and physically. They listen in an unhurried way that tells our kids that they are the most important people on the planet at that moment. They offer physical and emotional safety during times of change. 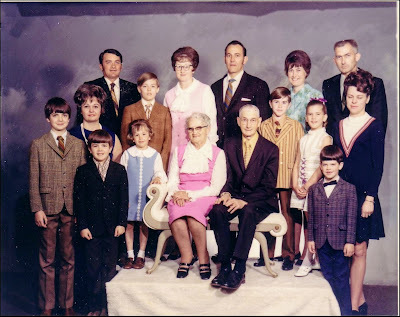 Extended Family is important for our marriage! Not only does extended family provide a safe place to get safe parenting advice, but it is a good place to let one’s guard down and be yourselves. Every marriage needs this kind of space. These people will hold us accountable, but in constructive ways. Plus, and this is probably the most important, extended family are able to provide safe, similar-values, babysitting. Every couple needs regular date nights (unfortunately, this is something The Wife and I have not had much of in the past two years – and that is not good). Extended family is important for me! Yesterday, as I began to get into a power struggle with my four year-old, Darling Determined Daughter, my aunt stepped in. We were able to get the toys put away, after some struggle, by turning it into a game. However, getting her to stop that game and move on to the next task, so we could drive home, was becoming a war of wills. Just as she lay down on the floor and started crying, and I began the counting: one, two…, my aunt picked up my Darling Daughter and held her close. She just loved on her. I told The Wife on the way home that it was amazing how she did that. My aunt didn’t usurp my authority, she didn’t stop the process of getting my daughter to obey, and she didn’t contribute to any power struggles. She just calmly stepped in, loved on my Darling Daughter, and then quietly explained the next two tasks that needed to be accomplished. Within 15 minutes we were in the car driving home from the coast. It was awesome to watch! The whole experience left me empowered as a parent, left my daughter feeling loved, and our precious father-daughter relationship intact. Extended family is important to our identity! Being around people that love us, unconditionally, and know us, like no one else does, is very relaxing. This environment allows us to be real and authentic. It’s very difficult to keep secrets from people who used to change your diapers! All the women cook like my Mom did (we had macaroni salad yesterday that tasted “just like Mom’s”), and love on my kids like my Mom would have. On top of that, my cousins are like brothers and sisters to me. Coming home from a family gathering, like yesterday’s, is very centering. The next time you consider moving to another state to take a job, or to move away from your family, think twice (even if you don’t have kids). There are some costs that cannot be measured financially. Even though this position in Oregon was farther from our extended families, it was closer to a major airport and we thought that would be better than 3 day drives. Telephones, email, photo/video-sharing sites, and infrequent visits are no substitute for real families doing life together. If you have the opportunity, stay close to your family – geographically and emotionally! You, and your family, will be healthier and better balanced because those who love you most will be able to reach out and touch you better.